BEIJING/SEOUL—North Korean leader Kim Jong Un has pledged to denuclearize and meet U.S. officials, China said on Wednesday after an historic meeting with President Xi Jinping. After two days of speculation, China and North Korea both confirmed that Kim had visited Beijing and met Xi during what China’s Foreign Ministry called an unofficial visit to China from Sunday to Wednesday. “The United States remains in close contact with our allies South Korea and Japan. We see this development as further evidence that our campaign of maximum pressure is creating the appropriate atmosphere for dialogue with North Korea,” the statement said. A top Chinese diplomat, Politburo member Yang Jiechi, will brief officials, including President Moon Jae-in, in Seoul on Thursday about Xi’s meeting with Kim Jong Un, according to the presidential office in Seoul. Kim told a banquet hosted by Xi the visit was intended to “maintain our great friendship and continue and develop our bilateral ties at a time of rapid developments on the Korean peninsula”, according to North Korea’s official media KCNA. 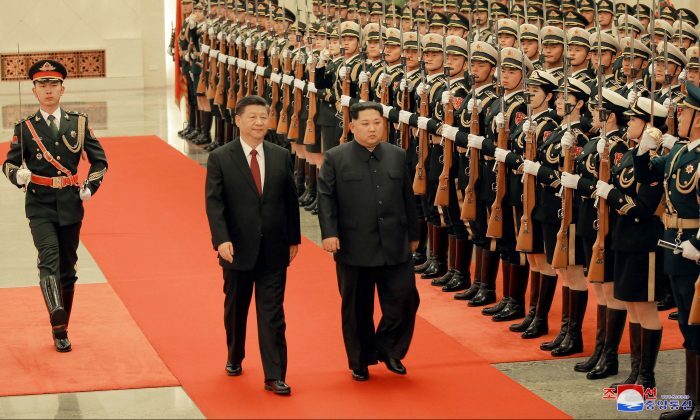 The KCNA also reported that Xi had accepted an invitation “with pleasure” from Kim to visit North Korea. However, China’s statement made no mention of Xi accepting an invitation, saying only that Xi pledged to keep frequent contacts with Kim through the exchange of visits and sending special envoys and letters to each other. China had largely sat on the sidelines as Pyongyang improved its relations with Seoul, prompting worry in Beijing that it was no longer a central player in the North Korean issue, reinforced by Trump’s subsequent announcement of his proposed meeting with Kim Jong Un in May. “China is North Korea’s lifeline, so the notion, from a Chinese perspective, that Kim Jong Un could have had these other two meetings before meeting with Xi Jinping, I think the Chinese just thought that is not going to happen,” said Paul Haenle, director of the Carnegie–Tsinghua Center in Beijing and the former White House representative to North Korea denuclearization talks from 2007-2009. Improving ties between North Korea and China would be a positive sign before the planned summits involving the two Koreas and the United States, a senior South Korean official said on Tuesday. Beijing has traditionally been the closest ally of secretive North Korea, but ties have been frayed by China’s recent backing of tough U.N. sanctions as part of the maximum pressure campaign. Kim Jong Il met then-president Jiang Zemin in China in 2000 before a summit between the two Koreas in June that year. That visit was seen at the time as reaffirmation of close ties with Beijing. 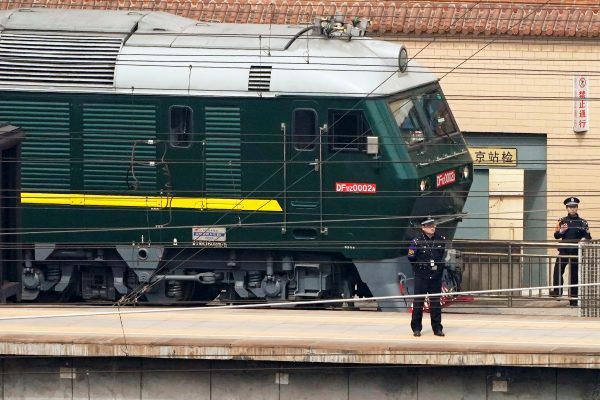 Speculation about a possible visit by Kim Jong Un to Beijing was rife earlier this week after a train similar to the one used by his father was seen in the Chinese capital, along with heavy security and a large motorcade. The secrecy around the visit was not unusual. The later visits of Kim Jong Il to China were only announced by both countries once he had left the country.